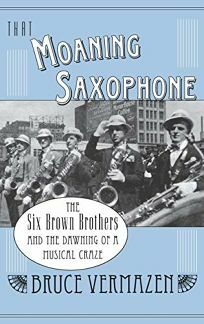 During the first two decades of the 20th century, the Six Brown Brothers were arguably the musical act most responsible for introducing the saxophone into American music. They took an instrument that until then had languished in relative obscurity or been demonized by critics--it was once termed the""Siren of Satan""--and helped transform how it was played and perceived. Led by Tom Brown, the Six Brown Brothers formed their band of traveling musicians against the backdrop of minstrel shows, circuses, small town brass bands and vaudeville acts. Widely celebrated, they were legends early in their career--but as the years passed and tastes changed, they faded away along with the vaudeville acts they helped to canonize. Vermazen, a professor emeritus of philosophy at UC Berkley, has written a thoughtful exploration of an instrument and a family, and in doing so, has managed to capture not only the birth of a musical craze, but a pivotal and turbulent moment in America's history. Meticulously researched, this volume covers the years between 1896 and 1927 with a seemingly inexhaustible list of quotes and facts (which at times threatens to overwhelm the compelling narrative the author has created out of the lives of Tom Brown and his brothers). Vermazen follows the brothers, and Tom in particular, year to year and show to show, with varying degrees of success at picking out the telling details that bring both the age, and the brothers, to life. (As he notes early on, the story of the Six Brown Brothers""must be told from the outside,"" since the brothers left behind few letters and no diaries, and newspaper articles are""tantalizingly silent"" on various important facts and details.) Vermazen's revival of the Six Brown Brothers after decades of obscurity will serve as a vital addition to the history of American popular music.